If you go through a plumbing emergency, it’s important to know what initial steps to take. The thing about emergencies is that you never see them coming. Most emergencies, people know what to do and how to respond to them. A plumbing emergency however, you will notice that most people typically are clueless what to do in the situation. When there is a plumbing emergency, you need to be able to react fast before any serious damage can be done and you will be in need of more than just plumbing repairs for your home. If you find yourself going through a plumbing emergency, follow these instructions on how to properly address the situation. First thing you need to do immediately in a plumbing emergency is to turn your water off. Find your water shut off valve to stop the flow of water through your home right away. This will stop further water from flowing into your plumbing problem. 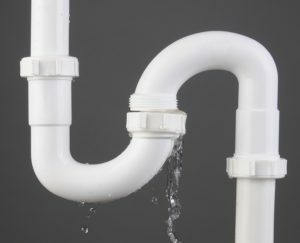 By cutting off excess water, you will be preventing further water damage from harming your home as a result of this plumbing disaster. If you do not already know where your water valves are, you should locate them as soon as you can so that you are properly prepared for when this situation arises. During a plumbing emergency, you will also need to make sure you turn off your water heater. After shutting off your water, your water heater’s pressure and hot water will begin to rise. This can cause your water heater to burst, creating yet another plumbing problem that you will have to figure out a way to deal with. By turning off your water heater along with your home’s water, you are ensuring that you will have one less problem to deal with later. If your plumbing problem is stemming from your toilet and turning off your water did not fix the issues, do not worry because there is more than just one solution to this plumbing issue. To handle the situation, go into your toilet tank and locate the flapper inside. If you notice that the flapper is open, you will need to reach in and close it yourself. If this was not the issue or if it will not stay closed, then you will need to lift the float ball to the top of the water. Remember, this solution may not always be the right fix to your plumbing emergency, but it might help calm the situation. This entry was posted on Friday, October 5th, 2018 at 2:44 pm. Both comments and pings are currently closed.